release, it saw 10 million downloads in its first two days of release, and the critics love it. Of course, Google Maps still has the trouble that it isn't integrated with iOS like the stock Apple Maps. 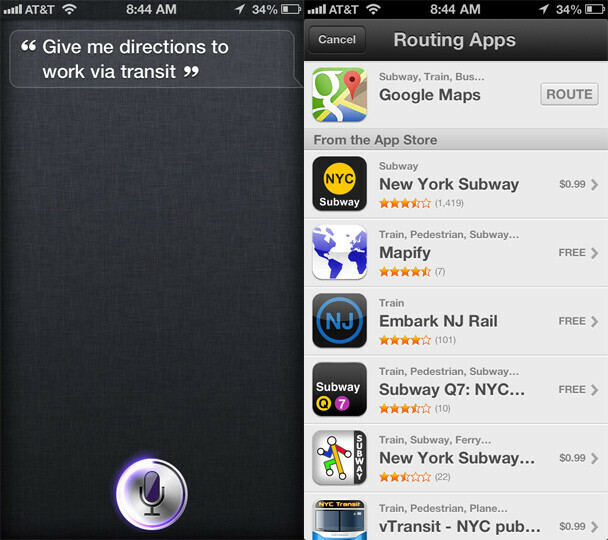 Well, here's a quick and easy how to for using Siri to get Google Maps directions. The best part of the trick is that it will work on any iOS device that has both Siri and Google Maps, and doesn't require jailbreaking. All you have to do is tag your directions request to Siri with the phrase "via transit", and Google Maps will pop up as an option to give you those directions, because Apple Maps can't. Once you're in, you can then switch the mode of travel to driving or walking if need be. A shame that this will never officially be tied to Siri... IMO, one of the best moves Apple could make right now would be to drop Apple maps and integrate Google maps into their devices again. Og course Apple's hubris would probably never allow it, but they can simply do so much more together than alone. The benefit, of course, would be some decent public attention for being flexible. Apple once took money from Microsoft in a time of need. It worked out very well for them in the end. No reason why Apple couldn't spin this (given the right contractual agreements with Google) to their favor in the long term, no matter how much people woould see it as Apple becoming weak in the knees. Nothing like the first hand experience. That is just a little bit of Android taste. Why not have a set as default settings available, just select to set as default app and sir just ignores apple maps uses Google maps instead. There's nothing wrong with Apple maps that Google maps didn't have when they first released. KLTPZYXM.....nothing wrong? LOL please research...they apologized for the maps...cause it was perfect and NOTHING was wrong with it! 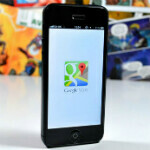 As an andriod user change to iphone user: one major disappoint for me was the map app. The advertisement for iphone map app is so amazing,yet when you actually use it, it is clearly an beta product and have long way to go before catching up to google's map. I cant believe I was actually excited for apple's map. Last time I need to look up some public transportation info, when I open apples' map they actually guide me to the app market and use other apps. If I want to use other apps why do I need you apple map. P.S: for a company that once hit $700 on the stock market this is unacceptable. With the insane amount of money this company is racking in, they should be at least release stable and finish products. I wish Steve Jobs is back, somehow he can just make ppl spend money without thinking twice. I feel bad for you that you changed to an iphone, but I hope it works out for you.